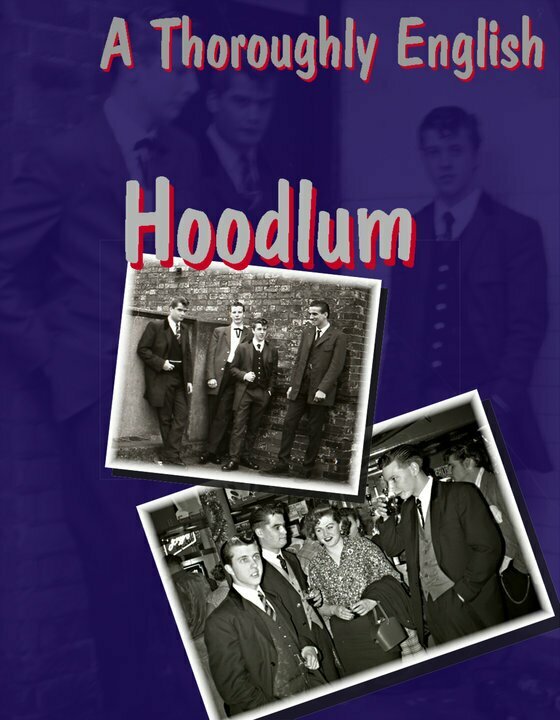 'A Thouroughly English Hoodlum' is a book (not yet published) and written by former Edwardian Teddy Boy, Jerry Lunn in the form of a novel, but based on reality. 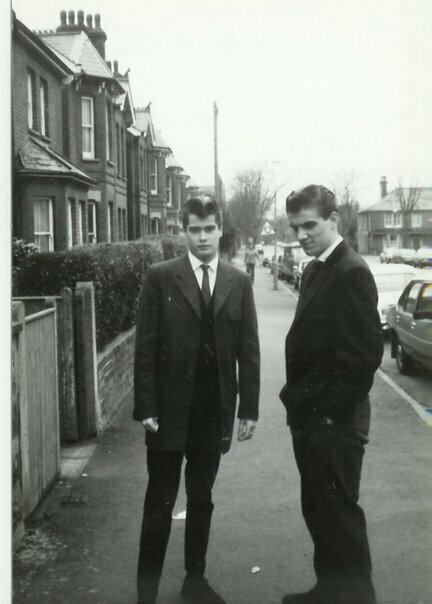 The book tells the story of Jerry and his friends, Paul Culshaw, Richard Wooley and Frankie Calland who grew up in Farnborough, Hants in the early 1980's. 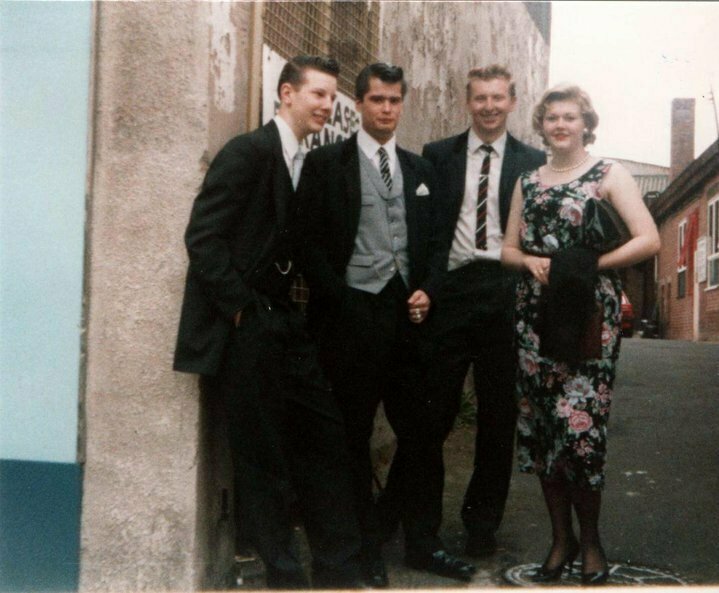 Jerry and his friends were one of the first groups in the early 1980's to reject the 1970's glam rock image and adopt the original Edwardian pre 1955 Teddy Boy image to excellent effect. According to Jerry Lunn, one of the main influences in adopting the authentic Edwardian style were pictures from old copies of Picture Post magazine, along with other similar press cuttings from the early to mid 50's and the occasional correct image gleened from books with pictures of 1950's Edwardians such as Colin Donellan and Alex Cruickshank. 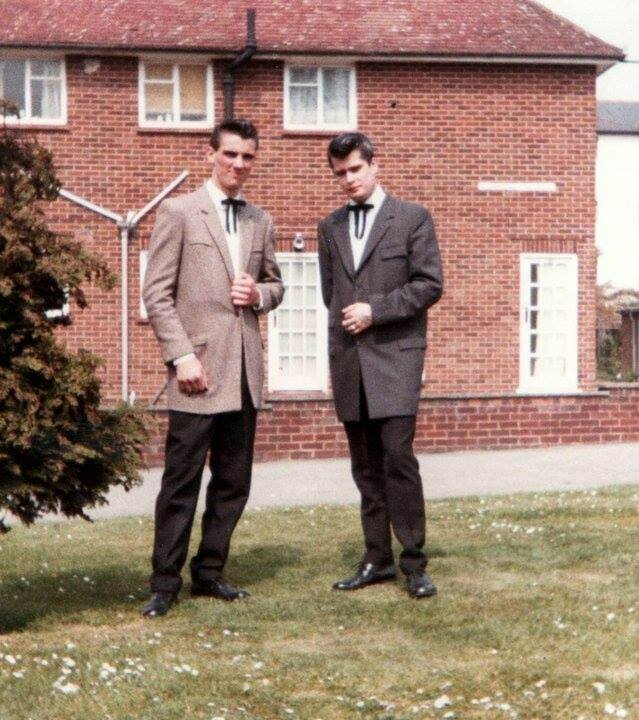 Paul Culshaw however, was really the first member of the group to adopt this early authentic style and he was influenced by photographs from Picture Post and the like, however another of the old gang Steve Ferrin, had found photos of his dad, who had been a Teddy Boy back in the 50's, and the pictures were of this earlier style. The text for the book can be obtained with a donation of £0.65 paid by Pay Pal and by emailing Jerry at: jlunn@hama.co.uk. 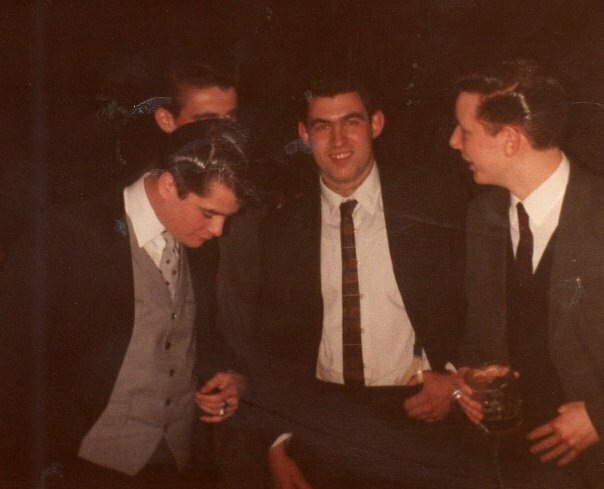 Below are some photographs of Jerry, Paul, Richard and Frankie sporting the authentic Edwardian style in the 1980's. Paul Culshaw has since donated his two piece black drape suit and grey waistcoat to the Brighton Museum where it is on display. 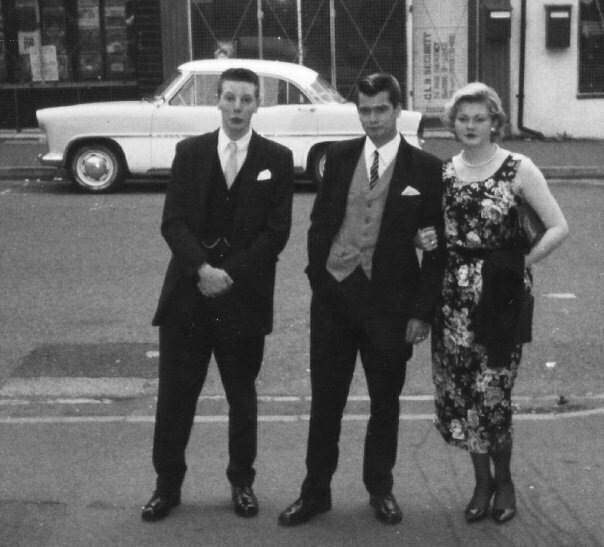 This suit (pictured above), made in the 1980's is an example of the original 1950's style when the original Teddy Boys wore sobre Edwardian style suits, rather than the exaggerated colourful styles that became popular during the so-called 1970's Teddy Boy revival. The suit was worn by Paul Culshaw, who paid particular attention to period detail and authenticity, drawing on period images and recollections gleaned from his parents. It was made to his specifications by the tailor, Jack Geech in Harrow-on-the-Hill, London. It cost about £85.00. Paul Culshaw donated his outfit to Brighton & Hove Museums' Renegade collection, which illustrates the history of subcultures in Brighton. Black wool drape jacket with velvet collar c1980. Black and white synthetic striped tie c1980. Grey wool waistcoat with shawl collar and mother-of-pearl buttons, c1980s. Metal fob chain with 1940s threepence coin. 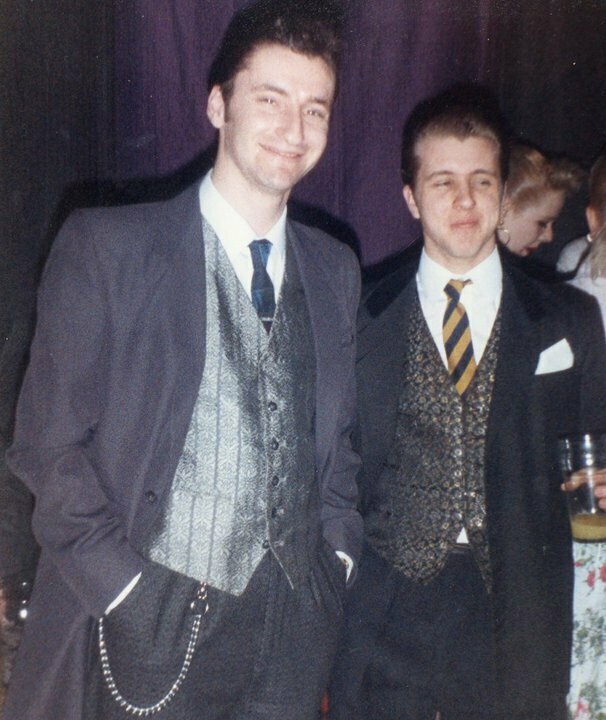 Somewhere in London with Richard Woolley, Paul Culshaw (wearing the suit shown above), Simon Moon and Fiona. Richard Wooley with Paul and Fiona. Paul Culshaw and Frankie Calland at North Camp near Aldershot, Hampshire 1984. 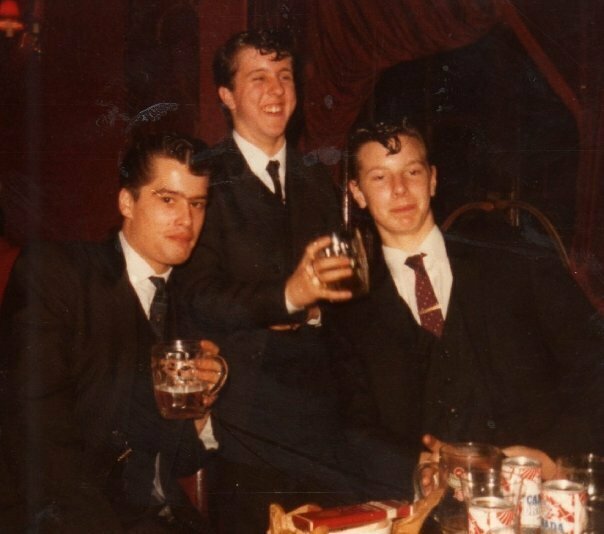 Paul Culshaw, Jerry Lunn and Richard Wooley. Paul Culshaw, Paul Howard and Richard Wooley. 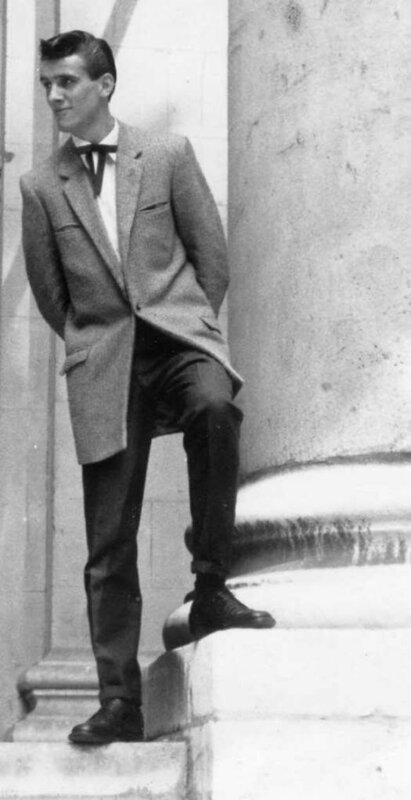 Frankie Calland in a posed black and white photograph taken during the mid 1980's which could pass for an original 1950's photograph, such is the authentic look! Frankie Calland (wearing the same Drape as shown in the black and white photograph previous) and Paul Culshaw. 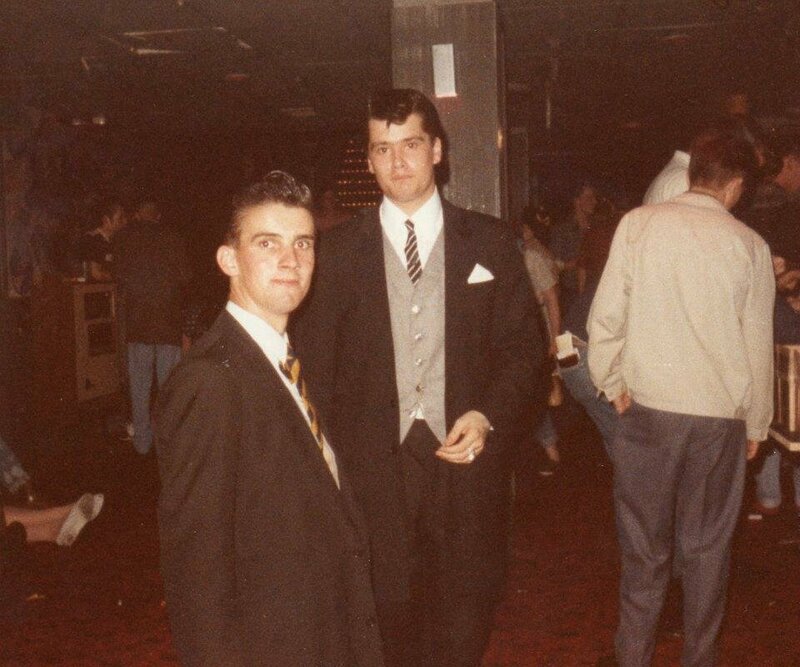 Frankie Calland and Paul Culshaw at the Powerhouse, Birmingham mid 1980's.